Is there a way to export all of the current styles and availability of our inventory that is on Modern Retail? Go to Products > Reports > Products Report or Product Items Report. 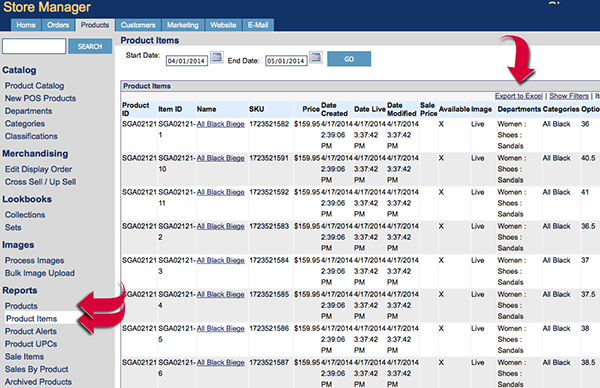 Set a date range and then get all the products in your catalog. Click the Export to Excel button to save your file.